Getting tax relief on pensions means some of your money that would have gone to the Government as tax goes into your pension instead. You can put as much as you want into your pension, but there are annual and lifetime limits on how much tax relief you receive on your pension contributions. Please note that if you are a Scottish taxpayer, the tax relief you will be entitled to will be at the Scottish Rate of Income Tax, which may differ from the rest of the UK. Provided that you stay within your pension allowances, all pensions give you tax relief at the rate that you have paid on your contributions. For personal pensions, you receive tax relief at the basic rate of 20% inside the pension. That means for every £800 you pay in, HM Revenue & Customs (HMRC) will top it up to £1,000. If you’re a higher or additional rate taxpayer, you can claim back up to an additional 20% or 25% on top of the 20% basic rate tax relief through your self-assessment tax return. For workplace pensions, your employer normally takes your pension contribution directly from your salary before Income Tax so that the contribution is not taxed at source like the rest of your employment income, and therefore the full benefit is received inside your pension immediately. If your employer does not handle your contributions before tax, then these would benefit from tax relief in the same way as for a personal pension contribution. You’re still entitled to receive basic rate tax relief on pension contributions even if you don’t pay tax. The maximum you can pay into your pension as a non-taxpayer is £2,880 a year, which is equivalent to a £3,600 contribution once you factor in tax relief. The annual allowance is a limit to the total amount of contributions that can be paid in to defined contribution pension schemes and the total amount of benefits that you can build up in a defined benefit pension scheme each year for tax relief purposes. Taxpayers can pay in up to 100% of their income, up to an annual allowance of £40,000. Any contributions you make over this limit won’t attract tax relief and will be added to your other income, being subject to Income Tax at the rate(s) that applies to you. Your annual allowance will reduce from £40,000 if your income plus your pension contributions totals £150,000 or more. For every £2 in excess of £150,000, your allowance will reduce by £1, until it reaches a minimum allowance of £10,000. You can also carry forward unused allowances from the previous three years, as long as you were a member of a registered pension scheme during this period. If you choose to take a taxable income from a personal pension other than via an annuity, your annual allowance will be reduced to £4,000 or 100% of earnings, whichever is lower, and you won’t be able to carry forward previous unused allowances. As well as the annual allowance, there’s also a maximum total amount you can hold within all your pension funds without having to pay extra tax when you withdraw money from them, known as the ‘lifetime allowance’. The standard lifetime allowance is £1,030,000 (2018/19), but some people have a higher allowance. The standard lifetime allowance is inflation linked, so it’s likely to increase each year. If the value of your pension savings is higher than this, and you have not secured protection from HMRC against the changes in the lifetime allowance at the point that they reduced, you will pay tax on the excess. So, if you’re approaching this limit, be careful about contributing too much. There’s no immediate tax charge once your pension fund grows beyond your lifetime allowance. It’s only when you choose to take your pension benefits over your lifetime allowance that you pay a tax charge, and the charge only applies to the benefits taken over your allowance. 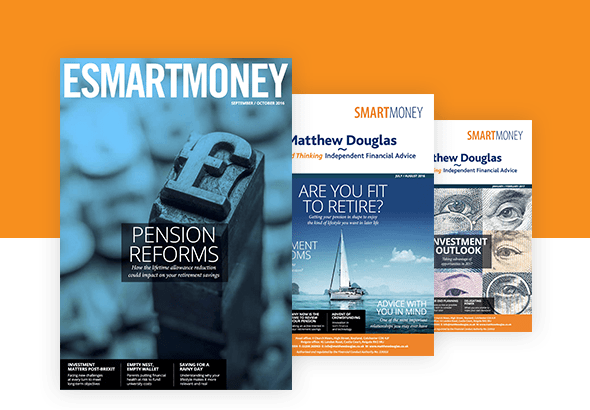 Commencing 6 April 2015, under the new ‘pension freedoms’ rules, you can now access your savings from your defined contributions pension scheme once you reach age 55. You cannot make withdrawals from a pension before you’re 55, moving to 56 in 2019 and 57 by 2028. If you’re due to reach retirement this year, you could take up to 25% of your pension fund as a tax-free lump sum if you want to, but the remaining 75% will be liable to Income Tax. Previously, most pensioners purchased an annuity with their pot, which paid a guaranteed income for life. The pension freedoms give greater flexibility over retirement funding. But you’ll need to plan any withdrawals you make carefully, as taking large sums from your pension can boost your income in a particular tax year, pushing you into a higher rate of tax so that you pay more tax than you need to.